Children from all classes across the school took part in various activities to promote road safety during the week. Below is a snapshot of what the different year groups did during road safety week 2019. For Road Safety week, the nursery children have been talking about how to cross the road safely, always holding a grown up's hand. We acted out crossing the road safely with our friends. For Road Safety week children have been singing our road safety song 'Stop, look, listen and think!' Reception have talked confidently about road safety including how to cross the road and where it is safe to cross the road. Reception children carried out a traffic survey counting how many vehicles passed Grove Lane during a 10minute period. The children counted a range of vehicles including; cars, vans, buses, lorries and motorbikes. The children concluded that the roads next to our school are very busy and it's important we know how to cross the road safely. Next we visited Dawson Road and looked at the safety features to keep us safe e.g. zebra crossing, zig zag markings and signs reminding vehicles not to park outside our school. While we were trying to cross the road safely a van parked don the zig zag lines and blocked our view the children used the iPad to take a photograph to send to the police. Back in the playground we role played crossing the road safely and made posters for the road safety competition. Year 1 have been looking at pictures about road safety and deciding what are safe and unsafe ways of crossing the road. The children sorted them well and could explain why they were safe or unsafe ways to cross. The children have sequenced instructions to cross the road safely and they have adapted the familiar song 'The Wheels on the Bus' to sing about safe ways to cross the road. Take a look at the video in the link below. Year 4 have been looking at driver distractions; how drivers can be distracted when they should be focused on the road. The distractions we have looked at are using a mobile phone. Children have created a poster to raise awareness of this safety problem. We are also writing poems based on Please Mrs Butler about this issue. Year 5 have been investigating why we should wear helmets. After testing the different materials on a boiled egg we then had a class discussion on why wearing a helmet is so important. As part of Road Safety Week, children in year 6 have been creating animations aimed at children in Key Stage 1. We have been using 'animate it' on the learnpads to create stop motion animations with different lessons about road safety. Many children have chosen to focus their animation on encouraging drivers not to park on the yellow zigzags outside school. Our year 5 and 6 school councillors started off the meeting by sharing their ideas for road safety week 2019. Walk to school cards (similar to the cop swap idea). Early years children to practise their road safety skills by using the bikes in the playground. Year 1 and 2 children to learn the road safety song 'Stop, Look, Listen and Think'. Year 3 and 4 children to find hidden cards in the class room, create poems and songs about road safety and create badges with road safety pledges. Year 5 and 6 children will be asked to write home to their parents and carers explaining how important road safety is and how important it is when walking or driving to or near to school. We were pleased to welcome Diane Mansell, Soho BID manager to our meeting. Diane explained the role of BID in the local community and the role of the ambassadors who patrol the Soho Road and surrounding areas. The ambassadors regularly patrol Grove Lane and Dawson Road at the end of the school day and will continue to do so in the hope this will further discourage illegal parking and stopping by the school entrances. Diane listened to parents express concern that many motorists fail to stop at the zebra crossing on Grove Lane. Parents felt that cameras being placed on the zebra crossing might discourage this behaviour. Diane said she would bear this in mind when they look at funding for junctions / parking / bus stops in the near future. Operation Parksafe - a scheme that promotes reporting illegally parked vehicles. 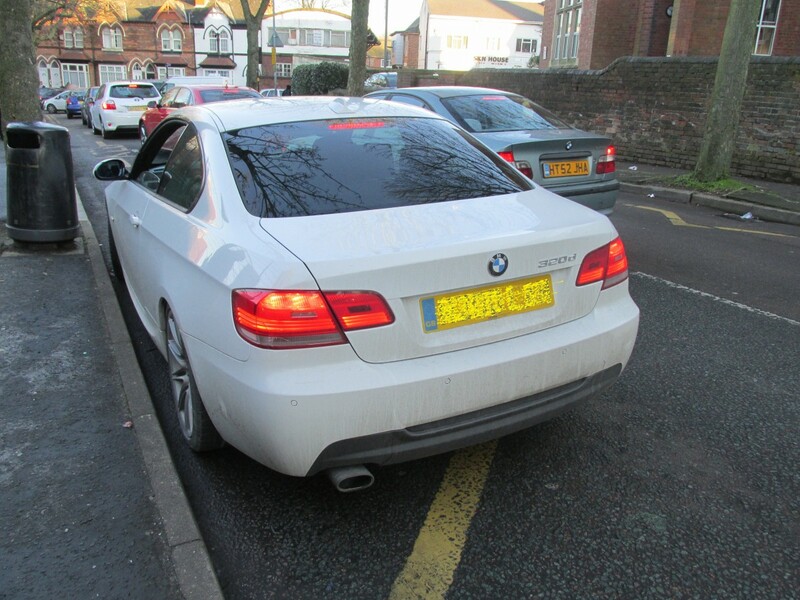 Staff and parents would be able to take a photograph of illegally parked vehicles and send it straight to the police for possible enforcement action. There will be a competion within school for the winning design of the Parksafe banners and Diane Mansell kindly offered to donate a voucher for the winning entrant. Thank you to all the parents and carers that came to today's meeting and your kind support. All classes from year 1 to year 6 took part in a road safety workshop run by a transportation officer from Birmingham City Council. The workshops were very informative and hugely enjoyed by all our children. Key messages included: speeding and driving at 20mph; use of seatbelts and booster seats; safe crossing places; be safe be seen on the roads and people who help us to use the roads safely. Nursery children had a visit from Mrs Kaur, our school crossing warden this week. They practised crossing the road safely using a pretend crossing in the playground. They have also been reading the story 'Topsy and Tim: Safety First'. They have learnt how to cross the road, how to play safely in their gardens and about using their special booster seats in the car. Reception children have also practised crossing the road safely using the zebra crossing and have written rules for how to stay safe on the road. Year 1 have made green cross code leaflets and road safety adverts. The children have also designed their own road safety signs, car seats and seat belts. 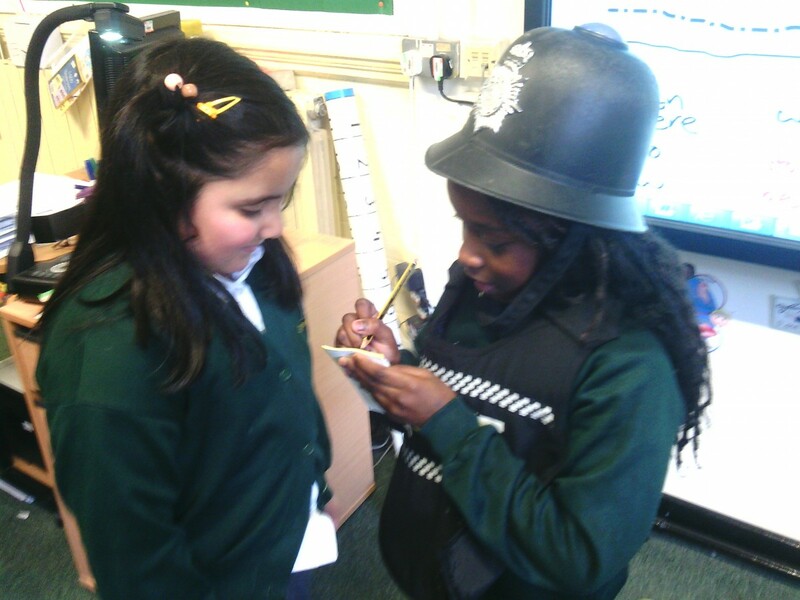 Year 2 children have planned and made road safety adverts, filming their work on the iPads. They have designed a poster for their road safety campaign, incorporating instructions on how to be safe on the road. Children in year 3 have written road safety poems and raps this week. They have performed their work to children in year 2, reinforcing the message of crossing the road safely. Year 3 also took part in the road safety workshop run by a transportation officer from Birmingham City Council. Year 4 children have worked hard this week to write a Grove School parking pledge, asking parents to agree not to park on the zig zag lines outside school. When finished, this will form part of our induction pack for new parents. Children in year 5 and year 6 are spearheading our campaign to petition the council to make Woodstock Road a one-way street. The children have gathered data and have used this to create graphs and tables. They have written a questionnaire to gain parents' views as well as interviewing residents of Woodstock Road. All of this information has informed their letters to Birmingham City Council. Thank you to all parents who attended the road safety meeting on 7.12.16. At the meeting the parents shared many of their concerns about road safety, particularly during the heavy rush hour at the start and end of the school day along Dawson Road and Grove Lane. A lack of road signs on Grove Lane warning drivers of the close proximity of a school. Dawson Road and Grove Lane becoming 20 mph zones. A further meeting has been planned for 31.1.17. at 9am in Grove upper school. PCSO O' Dell will be attending with Fareeda Akbar, a senior transportation officer from Birmingham City Council. All parents are warmly invited. On Friday 7th October, 4 pupils from Year 6 visited the Council House in Birmingham to receive the Modeshift STARS bronze award for achieving all our targets in our travel plan. It was a really interesting morning. The children met many representatives from organisations such as The School Crossing Patrol Service, ROSPA and National Express. We have many new ideas to add to our silver travel plan which we will be drawing up and implementing soon. 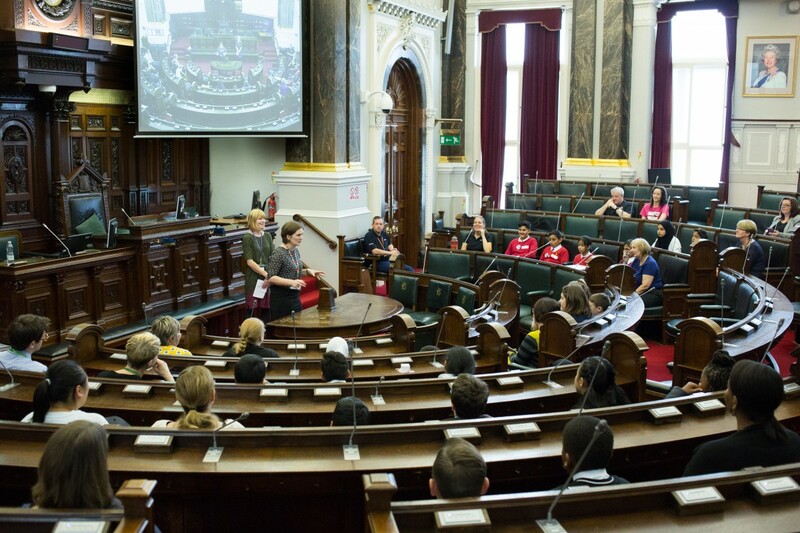 The children visited the council chambers where they received a talk from Councillor Bridget Jones and had the chance to vote on whether they agreed that safe and sustainable travel is a good idea. 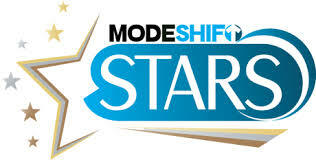 Grove school are currently working alongside Modeshift Stars to develop and implement a travel plan. 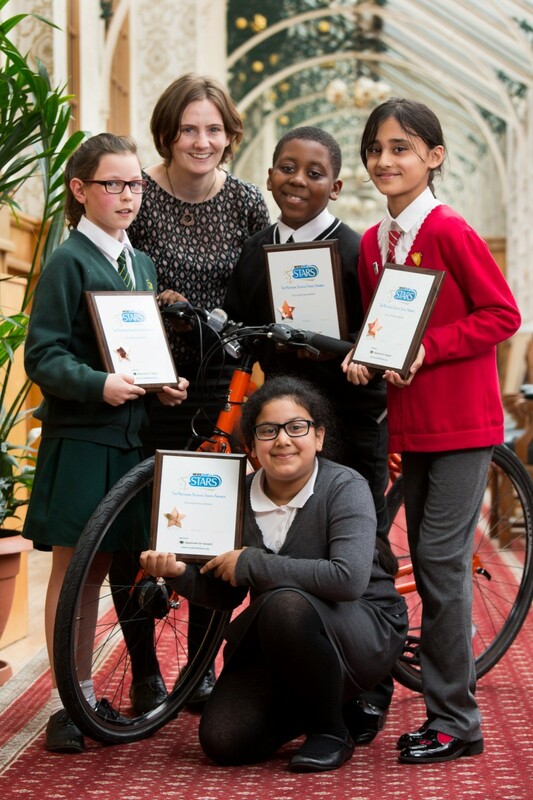 Modeshift Stars (Sustainable Travel Accreditation and Recognition for Schools) is a national awards scheme that has been established to recognise schools that have demonstrated excellence in supporting cycling, walking and other forms of sustainable transport. The working party have identified 2 main issues that hinder the safety of our community and the progress of a shift towards more sustainable transport. The first of these is the illegal stopping and parking on the prohibited parking areas on Dawson Road. In addition, staff and governors have observed children from Grove not crossing the busy roads around school in a safe way. A number of actions have been planned to address these key issues over the next two terms. If any parents are keen to join the Grove Travel Plan working party please contact school on 0121 464 4669 and ask to speak to Miss Mills. Children in nursery have enjoyed using the road mats with added road signs to act out safely crossing the road. They have also been making road signs, traffic lights and zebra crossings using different materials. From the back playground they have observed the traffic on Grove Lane and how pedestrians are using the zebra crossing. Reception classes have linked their current topic 'On the Move' to this week's events. All classes walked over to upper school, making sure they crossed the road safely using the zebra crossing. PCSO Hickman and SC Broadhurst parked their police vehicles on the playground and all the children had the opportunity to wear a policeman's hat, sit in the fast response car and sound the sirens. The children have been busy writing about their experiences in class. Special Constable Broadhurst with his fast response vehicle. Year 1 have been busy making adverts for road safety week. They have written, directed and starred in their own videos. They have designed baby seats and seat belts with safety in mind, and they have also written some rules for crossing the road safely. Year 2 have been learning road safety jingles and songs and doing road safety games during their PE lessons. They have also been playing with a mini Handsworth interactive model, role playing how to stay safe on the roads around school. Some Year 2 children have been outside school visiting safe places to cross the road around school. The key message from Year 2 children this week is that 20 is plenty for cars that are using the roads around our school. Well done children, you have used full stops and given reasons to add extra detail to your instructions. Children in year 3 have been role playing a terrible fictional accident on Grove Lane when a little boy was knocked down by a car. They have been exploring the thoughts and emotions of all the people in the accident from the driver and the police to passing pedestrians. Children have then produced newspaper and police reports about the accident. Well done children, you are beginning to use inverted commas for direct speech. You have also used joined handwriting. 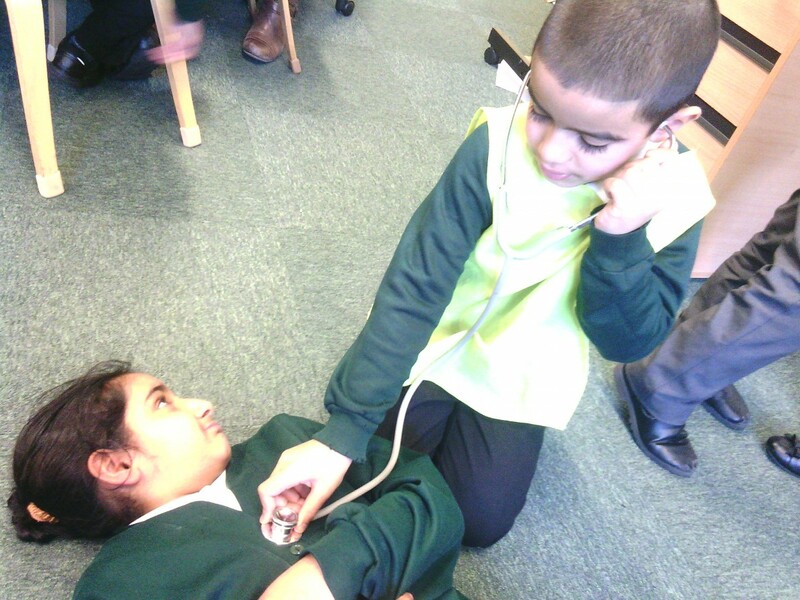 Year 3 role playing the work of the emergency services after a road traffic accident. The children in year 4 have been exploring the traffic congestion along Dawson Road at the start and end of the school day. They have carried out traffic surveys at different times of the day. The children will use the data to inform their persuasive letters to our local MP, Mr Khalid Mahmood. The children will continue with their data collection next week as they are keen to find out if the presence of the PCSOs this week has had an impact on the number of drivers stopping illegally on the zig zag lines outside school. The children will be using charts and graphs next week in maths to display their findings. Special Constable Broadhurst gave a talk to the children about the importance of wearing a seat belt when in a car. SC Broadhurst brought a special bridge, 1.35 metres high which all the children walked underneath. If the children were able to walk underneath the bridge then they still need a booster seat when travelling in the car. All year 4 children brought home information for their parents at the end of the day. Year 4 pupils carrying out their traffic survey and one of the cars they spotted parked illegally on the yellow zig zags. Year 5 children have been writing explanantion texts in literacy this week. They read the Green Cross Code and researched the origins of and the reasons behind this well known road safety campaign. The children have also used photographic images to explore and discuss a a number of different road safety scenarios. PCSO Hickman presenting a road safety assembly to the children in years 5 and 6. Year 6 children have written persuasive letters to Councillor Waseem Zaffer to request his support in our endeavour to get the council to repaint the zig zag lines along Dawson Road. Councillor Zaffer has kindly agreed to visit Grove School on Friday 29th January to meet the children, discuss the issue and receive the letters. During science, the children investigated the reflective properties of different materials and are working on a design for a new school uniform that will allow the children to be visible to drivers at all times of the day. The children had some very interesting and innovative ideas. The children have also been writing road safety poems in the style of Benjamin Zephaniah. We really like Talha's ideas for a new school uniform. His investigation is well organised and he draws out some intelligent conclusions. In year 6 we have been writing persuasive letters to Councillor Zaffar about the council re-painting the zig-zag lines on Dawson Road. Mr Zaffar came to an assembly and received our letters. We are looking forward to his reply. In the meanwhile remember don't park on the zig-zag lines. On Friday 29th January, Councillor Zaffar visited children in years 5 and 6 to listen to their views about the re-painting of the zig-zag lines and traffic congestion on Dawson Road. We read some of our persuasive letters and performed our African drum music. Councillor Zaffar had a tour of the school and was really impressed with our playgrounds and learning spaces. It was inspiring to find out about what motivated Councillor Zaffar to become a representative for our area. We look forward to hearing from Councillor Zaffar soon. Well done to all the children who entered the zig zag competition. We received hundreds of creative and innovative designs for the zig zag banner. School council have selected the following designs as finalists in the competition. Our new banners have arrived! Well done to Amina and Faez for having their winning designs displayed on the new banners. We have a new aftre school club that has just started which aims to promote safe cycling skills. Children are taught how to ride safely and condidently, hopefully nuturing a lifelong love of cycling.